This recipe takes no time to prepare, is super simple, and adds a little bulk to wimpy meals. 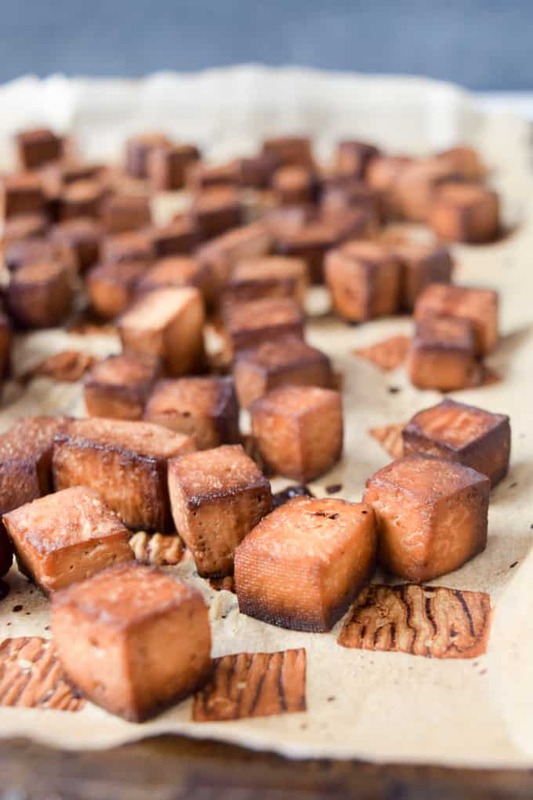 First, cut your tofu into little cubes like you see in the picture. Then, throw it into some type of container and cover it with some low-sodium soy or tamari sauce. Let it sit for about 10 minutes or so to soak up the flavor. If you want to get really crazy, let it sit overnight in the fridge. Second, spread it all out on a baking sheet lined with parchment paper. Pop it in the oven at 350 degrees and let it bake for 20 minutes. Third, add it to your salads, favorite stir fires, or just plain old rice and veggies. I want to know how this turned out for you! Leave a comment below and share a picture on Instagram with the hashtag #shaneandsimple. 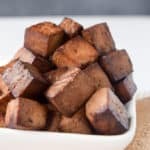 A delicious foolproof 20-minute easy baked tofu that’s perfect for salads, your favorite stir fries, and more! Super simple and quick! You only need one ingredient and 20 minutes of your time. Yes, it’s that easy. 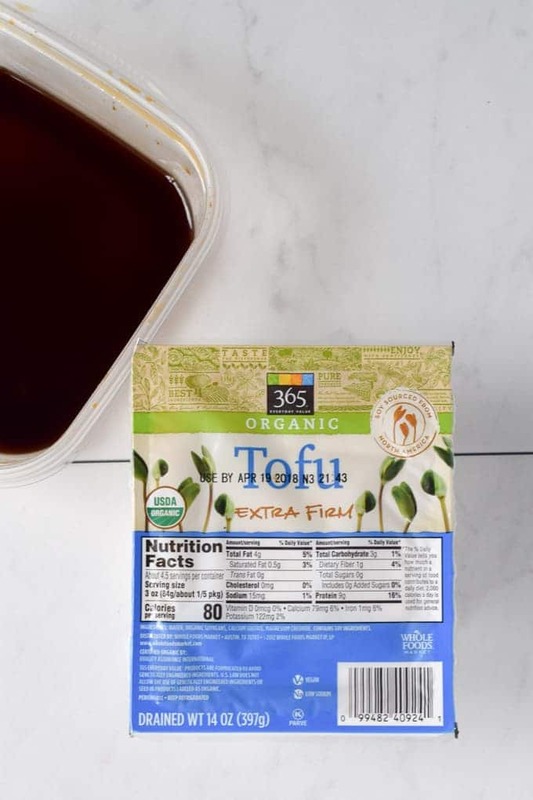 Wrap your extra firm tofu in a paper towel, place between two plates and set something heavy on top – like books or canned goods – and let sit for 10 minutes. This is to get most of the water out of the tofu so it will cook better and absorb the marinade. 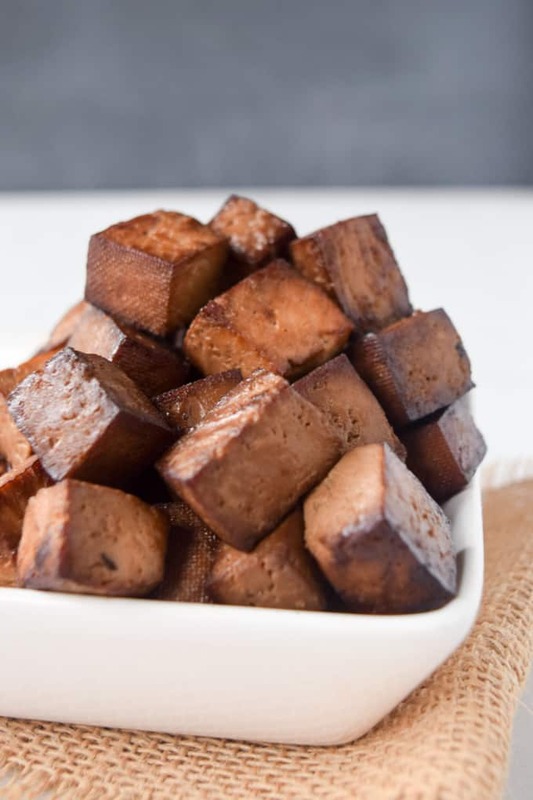 Unwrap tofu and cut into small cubes like the pictures. 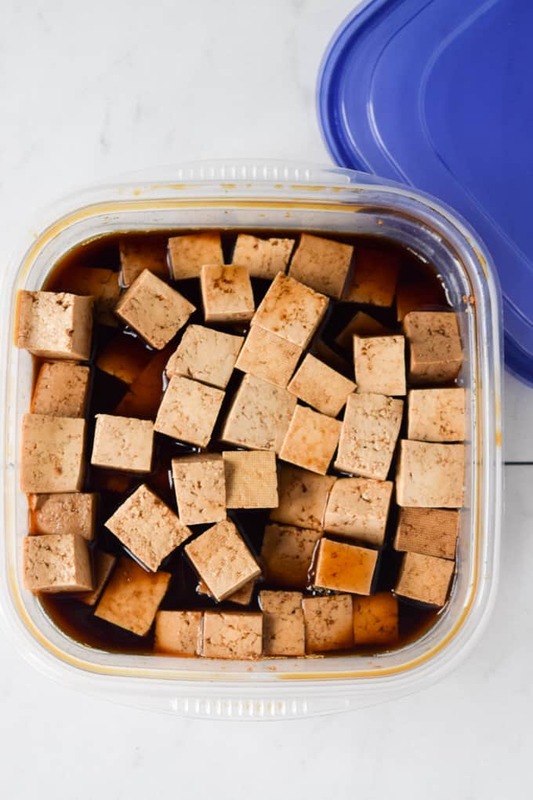 Preheat oven to 350 degrees, place tofu into a bowl, and cover with soy sauce. Let sit for 10 minutes. 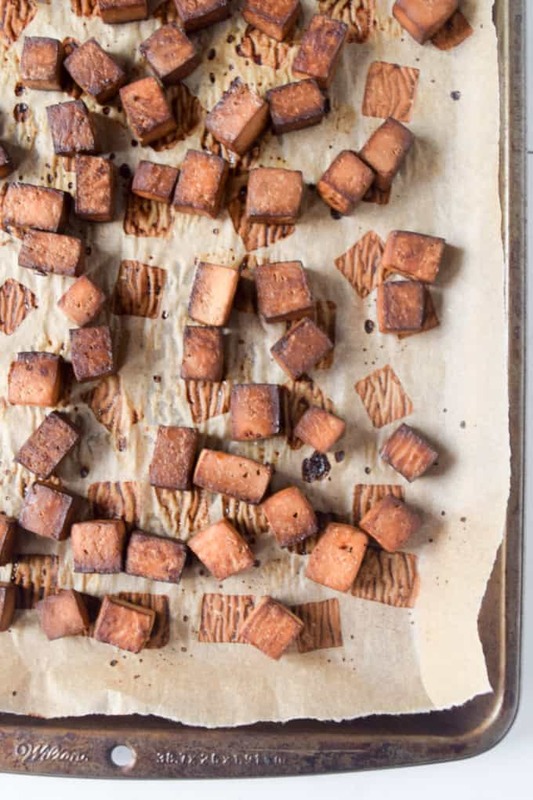 Spread marinated tofu evenly on a baking sheet lined with parchment paper. Enjoy on top of salads or my Peaceful Easy Feeling Buddha Bowl. I’m more of a “grazer” than sit down to a meal person so these are perfect for me. Me too:) Hope you enjoy them!